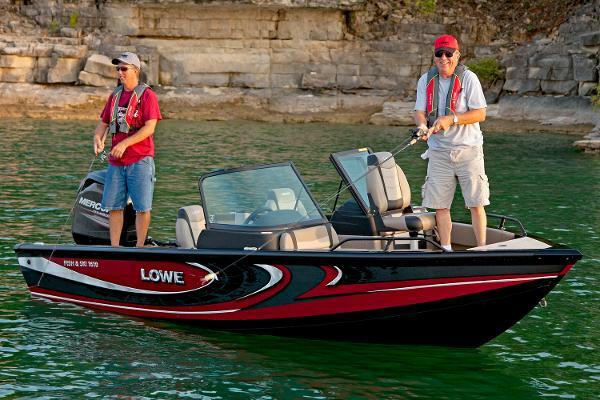 2017 Lowe Fish & Ski FS1610 The Lowe Fish & Ski 1610 is the perfect boat for water sports action, all-day fishing and just plain fun. 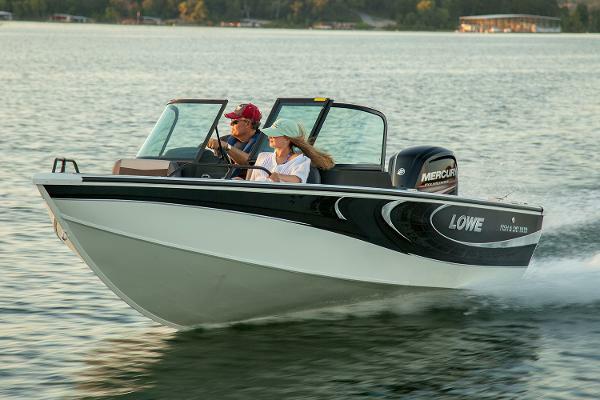 Enjoy cruising on this spacious, high-performing, versatile package, and count on proven Lowe construction to deliver year after year of durability and value. With amenities including a Bluetooth-compatible Jensen stereo, two spacious fishing decks, a large livewell, and mighty Mercury® power, you control the fun. The top-notch aluminum hull dominates all conditions, and the walk-through layout provides extreme comfort. Discover the unique dual nature of owning both a fishing and sport boat all in one! Please note: This boat model may or may not be in-stock. A Nationally Advertised Price, if listed, may change without notice or include accessories not fully described herein. Please contact your local, authorized dealer for exact details on model availability and package pricing. 2016 Lowe Fish & Ski FS1610 Enjoy great watersports capability and fishability in one high-performing, versatile package: the Lowe FS 1610. With amenities including a Jensen stereo, two fishing decks, a large livewell, and mighty Mercury® power, you control the fun. The top-notch aluminum hull dominates all conditions, and the walk-through layout provides extreme comfort--discover the unique dual nature of owning both a fishing and sport boat all in one! Please note: This boat model may or may not be in-stock. A Nationally Advertised Price, if listed, may change without notice or include accessories not fully described herein. Please contact your local, authorized dealer for exact details on model availability and package pricing. 2016 Lowe Fish & Ski FS1610 2016 FS 1610 16' FISH AND SKI WITH 75 HP MERCURY 4-STROKE MOTOR. INCLUDES MINNKOTA PD70 TROLLING MOTOR, LOWRANCE MARK 5 FISHFINDER, TILT STEERING, SWIM PLATFORM, SKI TOW PYLON, BOW CUSHIONS, TRAILER INCLUDED. CALL FOR IN STOCK COLOR AND AVAILABILITY. PICTURES MAY SHOW OPTIONS NOT INCLUDED IN PRICE.